Portola Hotel & Spa offers a variety of exceptional Monterey venues for every event. From grand ballrooms for graduation celebrations or lavish weddings to intimate spaces for smaller board meetings, we offer something for all Monterey Bay events. Start planning your next gathering at the Portola Hotel & Spa by submitting an RFP today. Portola boasts an expert event planning staff and over 60,000 square feet of Monterey event space, perfect for Monterey conferences, parties, board meetings, sales pitches, and more. 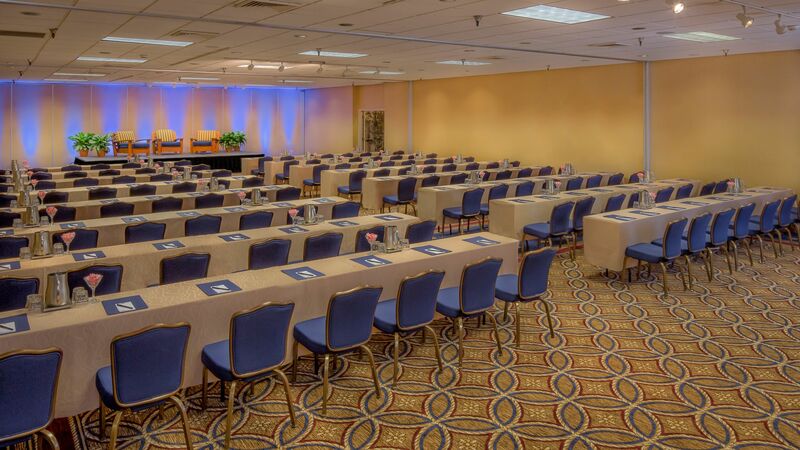 View our 3D meeting space and begin planning your next Monterey event today. Call us directly to discuss your meeting and event needs at (831) 649-4511 or email sales@portolahotel.com. Portola Hotel & Spa 3D meeting layouts are designed to provide a visual example of the meeting space and capabilities within the space. Room limitations may vary due to additional factors in the room (audio visual, staging, banquet tables, etc.). Please speak with a dedicated Portola Hotel Catering and Convention Services Manager about your special event and meeting needs at (831) 649-4511 or email sales@portolahotel.com.